Nighat Naz Sindhi Folk Music Singer. She was most popular Sindhi Pop Music Artist. She is great Artist of Sindhi language she has sung lot of popular songs. She has sung poetry of popular Sindhi poets and she has sung Sindhi Folk Songs, Sehra and "Sindh Dherti Songs". 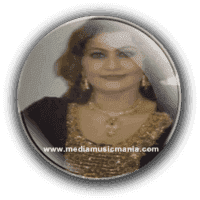 Nighat Naz introduced on local TV Channels such as "KTN TV", "Sindh TV", "Kashish TV" and other local shows in Mela, Marriage parties, she sung lot of great songs in new style and very popular in all over Sindh. She is very popular due to his stylish singing, she sung pop style Sindhi Songs Audio on "Dhol". She sung lot of popular songs such as "Maa Jogan Banji Wai Aan". She create great name in Sindh Music. She is very popular Artist in Sindhi Pop Music, Folk Music. Peoples like her songs specially Sindhi young culture. Nighat Naz from Moro, District Dadu Sindh, she performed on stage with good Sindhi songs with great dance in new style. She sung songs in Saraiki Lanugage like most popular singer Shazia Khushk. When latest Albums of Nighat Naz comes in the Market, peoples wait eagerly, her most popular Album is such as "Piyar Ji Kashish" and her Eid Album "Shikari Nen" and Sindhi Songs New She has performed in Mela, Local Night Mehfils, Marriage ceremonies and other local musical programs. I have selected below most popular Super Hit Music of Nighat Naz.